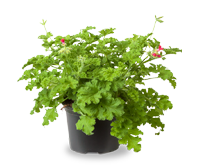 Scent Geraniums are attractive plants for in and outdoor use. 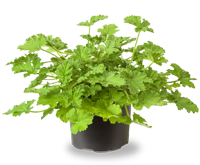 The Lemon Geranium is the most famous of all also because it’s mosquito repelling qualities. The plants come in a number of shapes and scents from the famous lemon to the innovatie chocolate ones. All though mostly green some have cute little flowers too. Planted along your garden path, on the patio, in the window or in specific area’s in the house they’ll spread their pleasant scent. 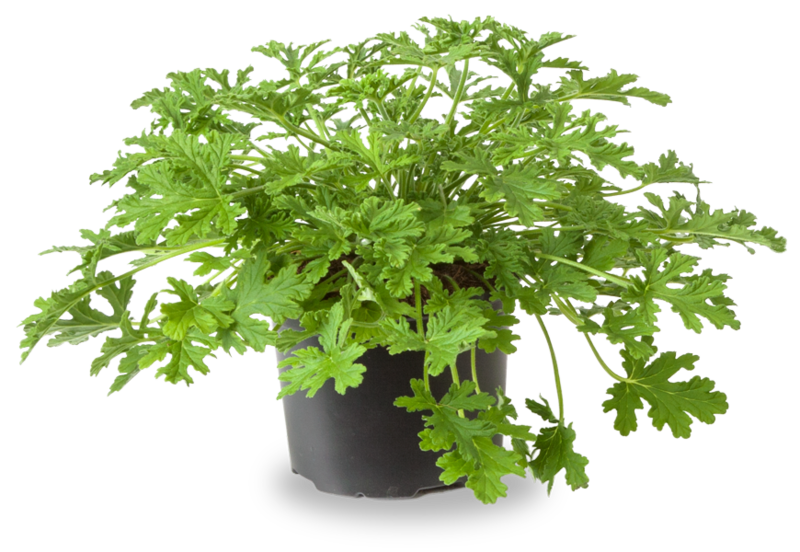 Commonly known as Scent Geranium the plant’s official name is Pelargonium. The plants are mostly compact, almost like al little bush, and some grow cute little flowers. Every plant has different shape, color and size leaves. 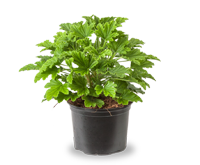 These are the main difference to the very well known French Geranium. 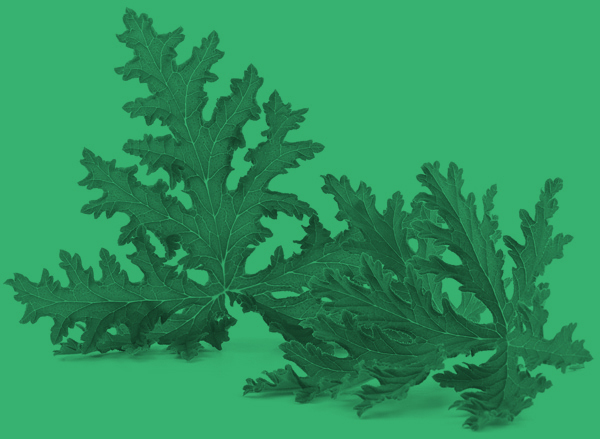 The geraniums spread their scent through tiny glands on the topside of the leaves. Rubbing or touching these will open them up and a scented oil will be released. 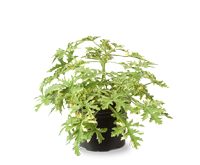 Among all contents the plant has essential oils which have an anti bacterial effect and reduce couching for example. The several different scents all have different effects on people, read more on the plant specific pages. 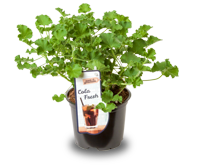 Scent Geraniums we grow are available in lemon, orange, apple, mint, rose and chocolate scents. 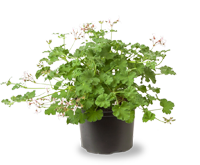 Pelargonium Graveolens is native to South Africa, Zimbabwe and Mozambique, where they still grow in the wild. Cultivation in Europe started in the 18th century when the plants made their way to England. Where hybrids were created for their flowers at first, the effect of scent became more popular and eventually took over the importance of flowers. Scent Geraniums became very popular in these days. They were placed on the best spots in castle’s and mansions to spread a pleasant smell and overpower the unpleasant smells, where obviously there weren’t any sprays etc. back then. Especially in the rich part of the English society the plant was a proper ‘must-have’. 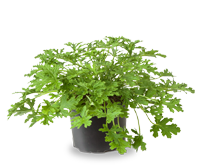 Nowadays the scent geranium is growing in popularity among the complete society. All though not very well known to some, it’s versatility makes it a very beloved plant.